In spite of the scientific consensus regarding climate change, much of the mainstream media continues to regard the issue as a matter of debate. But while columnists such as George Will use outdated or erroneous statistics to foster doubt, more serious thinkers are considering the pros and cons of various methods for reducing the concentration of greenhouse gases in the atmosphere. In a newly published paper, Roger Pielke Jr. of the University of Colorado’s Center for Science and Technology Policy Research asserts that “air capture” — that is, direct removal of carbon dioxide from the air — deserves far more serious consideration than it has received to date. According to his calculations, extracting carbon dioxide from the atmosphere and sequestering it underground is potentially more economical than other proposed methods of dealing with the problem. In the journal Environmental Science and Policy, Pielke writes that “the costs over the 21st century of deploying air capture to fully stabilize greenhouse gas emissions are comparable to, and under some assumptions more favorable than, the costs of stabilization presented by the Intergovernmental Panel on Climate Change.” He argues that “more attention should be paid to research, development and deployment” of this technology. Scientists have proposed a variety of methods for extracting and capturing carbon dioxide from the air, including a prototype developed by Columbia University. The gas would then be sequestered, possibly by the use of “peridotite carbonation, a natural geologic process involving rock that reacts with carbon dioxide,” Pielke writes. 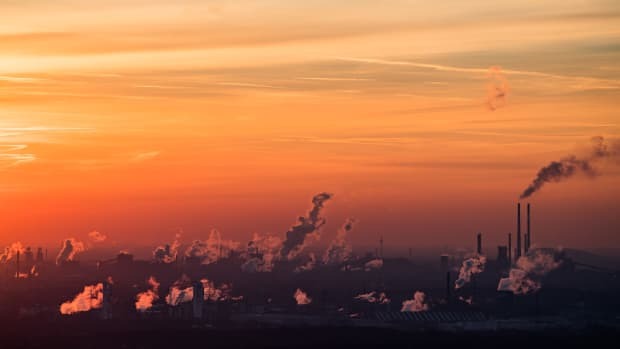 In 2007, carbon dioxide was measured in the atmosphere at a concentration of 380 parts per million – a huge increase from several hundred years ago, when the concentration was approximately 280 parts per million. Climate scientists assume the concentration will continue to rise in the coming years, but hope to stabilize it at 450 parts per million by the year 2040. The cost of capturing and sequestering enough carbon dioxide to reach that level has been estimated at anywhere from $100 to $500 per ton. Even using the $500 per ton figure, air capture over the course of the 21st century would cost “about the same” as the emissions-stabilization efforts proposed by the IPCC. At $100 per ton, the cost would be “much less” than other proposed remedies, Pielke notes. Focusing in on one specific component of the problem, Pielke writes that all automobile emissions of carbon dioxide in the U.S. could be offset through air capture at a cost of $48 billion (at $100/ton) to $240 billion (at $500/ton). That would require a relatively small increase in gasoline taxes, to a maximum of $1.60 per gallon. American drivers could capture their carbon dioxide emissions and “still have among the lowest gasoline prices in the world,” he writes. Reporting from the El Paso innovation conference, our Michael Haederle explains how a toy frog may have hopped over some biomedical manufacturing obstacles.